In this episode we continue our emergency preparedness series. Last week we talked about different types of training that you should learn in order to prepare yourself for if or when you are ever involved in a major incident, today we are going to talk about things that you should do. We also talk about the Davie/Cooper City Amateur Radio Club in the Amateur Radio Club Spotlight a little later on. Probably one of the most important, if not the most important, things that you need to do is have your equipment ready and know how to use it. I have seen many times where someone that was on a scene of an incident that didnâ€™t know how to use their radio, or change the frequencies or tones. I have seen many times where people will get a new radio and someone in the club they are in will program it will several frequencies and all they will do is just turn the knob from one channel to the next. If they happen to bump a key or something and turn off the tone and it stops working on a repeater, then you will not be able to reach them or at least you won’t be able to hear them when they answer you. Whether you are using your own equipment or using one that is provided by your local club or RACES group, you should always know or at least have an idea, on how to use the equipment. One way to do this is to have what we in the amateur community call a â€œGo Packâ€. A go pack can be several different things. Some people have made very elaborate go packs with built in batteries, a mobile radio, and other things, some, like me, just have a duffle bag with all kinds of parts and stuff that I may need while I’m out in the field. We will talk more about go pack in next week’s episode so please tune in next week to learn more about those. One thing that is consistent with all incidents is a net, whether it be formal or informal. Probably 95% of the time it will be a formal net, so you should know how a formal net works. With a formal net, the frequency that you are using is controlled by one person, the net control operator. This person has ultimate say as to who talks when. Much like an air traffic controller does with airplanes. If you want to talk to someone other than net control, you have to ask permission to. In order to speak, you have to ask permission. The best way to learn about directed nets, it to participate in training nets. Most clubs have a weekly net of some kind. This allows you to practice listening to what is said during the net and how to talk on one. Probably the second most important thing that you should do if you plan on helping out in a time of disaster is to get involved with your local RACES team. Most teams have other training that you can take. Because the RACES team is affiliated with the Office of Emergency Management for the county, there are generally large scale drills or table-top exercises that you can participate in as well. As I say those three words above, I really have several things that I am talking about. We need to practice how to talk. By this I mean, talkings clearly and concise, press the transmit button and count to one or two before you start talking, and think before you speak. I think one of the things that people have the hardest time at is remembering to wait before they talk. Many time you will hear people talking and you won’t hear the first half of the word or even the entire first word of what they are saying because they either start talking before they put the button, or start talking as they are bringing the mic up to their mouth. This isnâ€™t as much of an issue when you are talking on simplex but when you are talking on a repeater it is a whole different animal. With a repeater, there is a second or so delay between the time that the repeater receives the signal to the time that it transmits it. So letâ€™s go through the whole process from start to finish. You key up your radio, this turns on the transmitter and starts to send out a signal. The antenna on the repeater receives that signal and transfers it to the coax with could be 100â€™ long or 1000â€™ long. The signal travels down the coax to the duplexer, which then hands it off to the receiver. The receiver processes the signal and works with the controller to make sure that it has the correct tones, if needed, and if so, engages the transmitter and passes the signal off to it with an increase in power. The signal is then sent back through the coax and back up to the antenna and transmitted out. Then the person that you are talking to receives the signal on their radio, their receiver converts it to audio and sends it out their speaker. All this happens in a matter of a second because all this travels at the speed of light, but still there is a lot of different components that have to work together to get it done and each of those components takes time to do the things that it needs to do. Even though it does happen so fast, there is still a half to full second lag between the time that the button is pressed and the repeater is keyed up to retransmit. If the repeater doesnâ€™t have a tone, it is slightly less, but still it is good practice to key up and wait at least a one count before you start talking. Probably the easiest way that I have learned to allow for this one count is to press the mic button before I even raise the mic up to my mouth. The time that it takes for me to press the button and raise the mic up to my mouth and start talking is generally long enough. One other thing to consider in all this is if the repeater you are talking on is linked to another computer or it is linked to the internet like on a DStar or System Fusion repeater. If this is the case, not only does one repeater have to do itâ€™s thing, but also whatever repeater it is linked to has to as well. The second thing that comes to mind in the three words above is practicing on how to talk. You should alway speak clearly and at a speed that is at a smooth clip. People tend to talk at a higher pitch and faster when they are excited. It doesn’t matter how experienced you are or how old you are or pretty much anything. It is human nature. Unfortunately, this often makes it hard to understand what you are trying to say on the other end of the radio. The only way to counteract this natural response is to be aware of it, take a breath before you talk and control yourself while you are talking. During this entire transmission, there could be someone on the other side of the county that had a funnel cloud forming and was nearly to the ground. They couldn’t get into the net because the other person didn’t think before they keyed up. If the person would have looked at what his conditions were and thought about what he was going to say, he could have just keyed up and said, â€œI am getting about an inch an hour rainfall, I have about 15-20 mph winds and a little bit of hail,â€ and then signed off. Thinking about what you are going to say will also allow you to think about how you are going to say it and will help you to stay calm and speak in an even tone so that you are able to be understood on the other end. The Davie/Cooper City Amateur Radio Club (DCARC), established on May 1, 2010. We arrange monthly outings to make HF contacts, host a bi-weekly 2m net, participate in the Amateur Radio Relay Leagueâ€™s annual â€œField Day,â€ and occasionally operate special events. Our mission is to further the exchange of information and cooperation between members, promote radio knowledge, fraternalism and operating efficiency. Monthly Meetings: First Monday at 7:30 pm at the Moose Lodge in Davie, FL. Testing is done at every meeting at 6:00pm before the meeting. Weekly Lunches: Every Friday at 12:30pm at “Ye Olde Falcon Pub” in Davie, Fl. HF Outings: Usually on the Third Sunday starting at 07:30 and lasting until everyone decides to go home. Setup in the Vista View Park in west Davie. The club has a pretty massive library with a bunch of books that members can check out for a month. 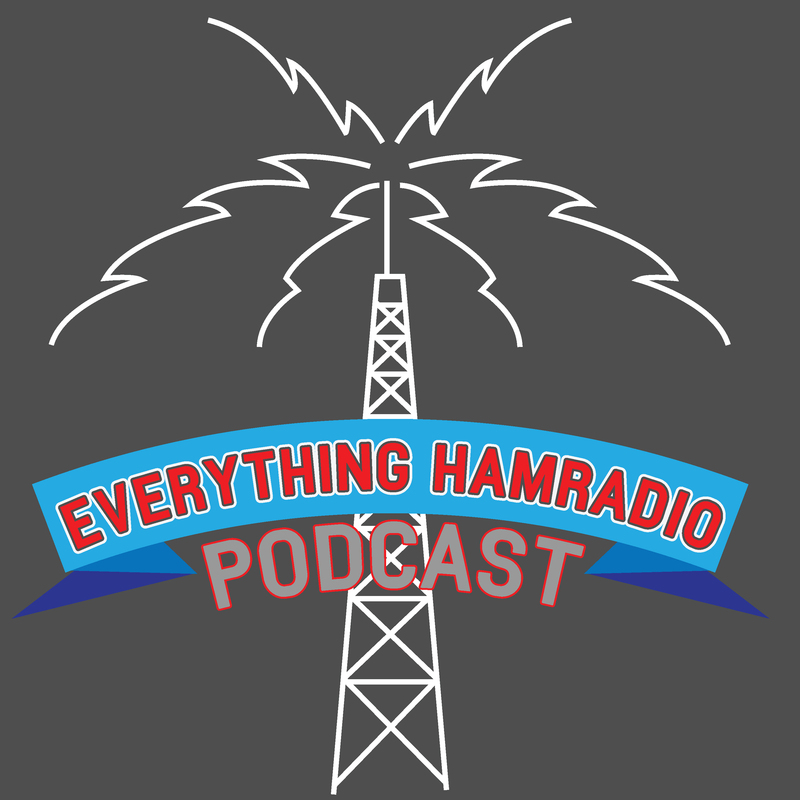 If you would like to have your amateur radio club highlighted on my podcast, please send an email to k5clm@everythinghamradio.com. In that email please give me the name of your club, your clubâ€™s website address and tell me a little about your club. Please subscribe to my website to receive emails on when I publish a new post or podcast episode by going to http://www.everythinghamradio.com/subscribe/. Fill out the form on the page and click on the â€œSign Me Up!â€ button. Check you email and you should receive an email from me with a link that you will have to click on in order to confirm your subscription. Once you click on that link, you will start receiving emails from me. Donâ€™t forget to rate and review my podcast. Go to http://www.everythinghamradio.com/itunes/ to be taken to my podcast on ITunes. Please give me an honest star rating and review. This helps greatly in my standings in ITunes and will help others find my podcast other than searching for it directly.